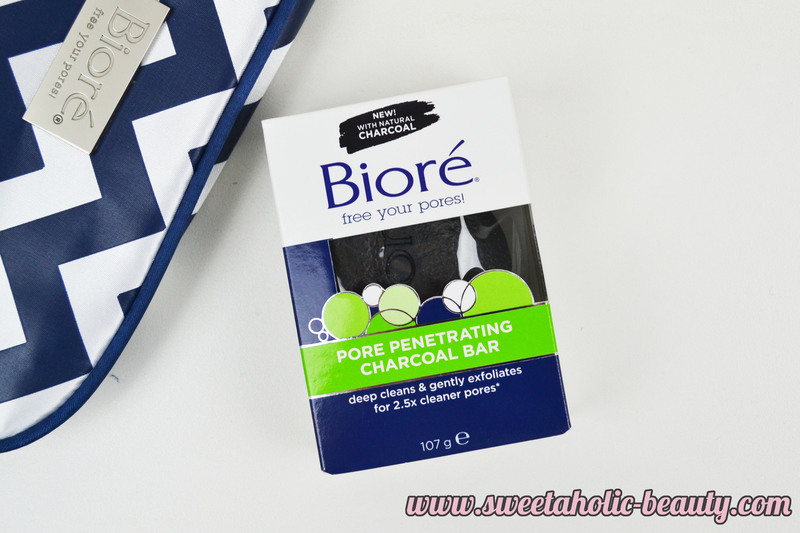 A little while ago, I picked up the new Biore Pore Penetrating Charcoal Bar from the chemist. I usually like to use body washes, as I find them a lot easier to use in general. I have been experiencing a few breakouts, particularly on my back, so I was on the lookout for something that might help with that. 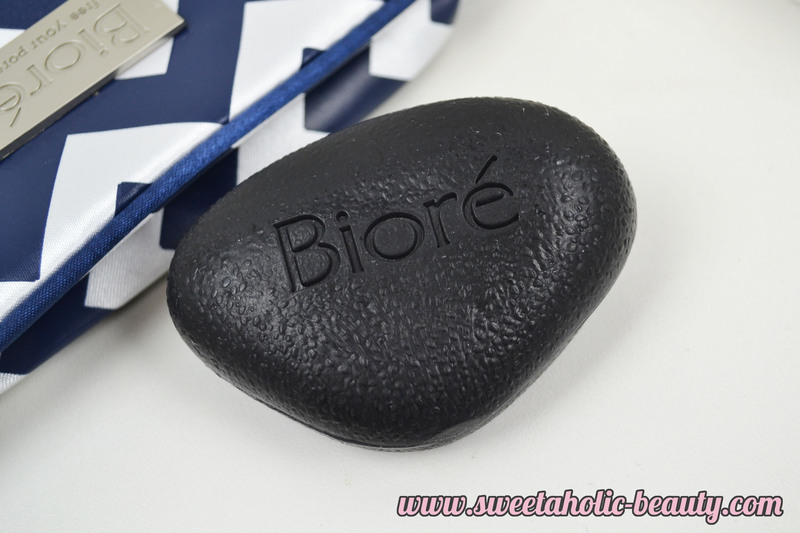 The Biore Pore Penetrating Charcoal Bar promises a deep clean, and is supposed to gently exfoliate for cleaner pores. Along with natural charcoal, it also contains jojoba and peppermint to give you a tingly smooth feeling. The bar itself is a really good size, and is slightly textured. The smell is very neutral, but there is a distinct peppermint scent once you start using it. I found that the bar itself lathers up really well. I apply the bar directly to my face, and for the rest of my body I apply to a loofah first. As soon as I began using it, my skin started feeling tingly, which was probably due to the peppermint. It was an interesting but not uncomfortable feeling. Since using it for the last week or so, my breakouts have started to clear up, and my skin has been feeling cleaner than ever. I have found that has a much nicer effect on my body rather than my face. After my shower, my skin overall feels smooth and exfoliated, and for my body, not at all drying. My face however did feel a little dry, so ensure you are using a good moisturiser after your shower if you plan to use this one on your face. 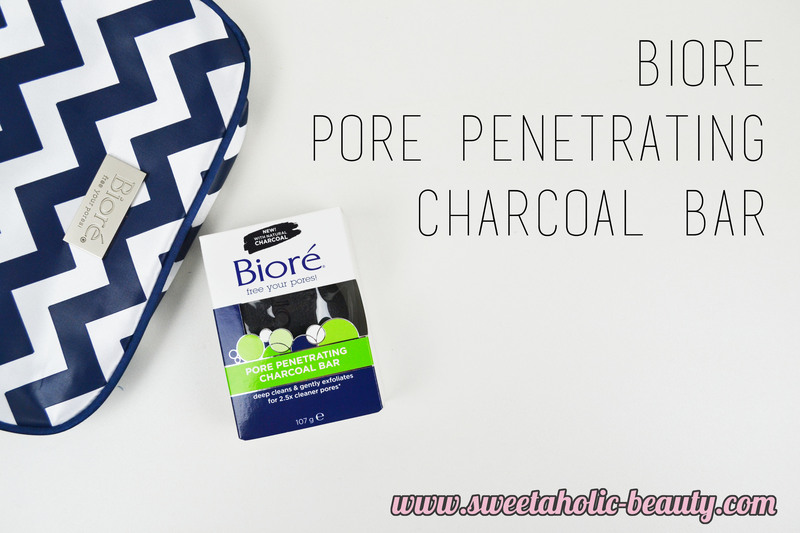 Overall I was really pleased with the results of the Biore Pore Penetrating Charcoal Bar. My skin has been feeling cleaner than ever, and oh so smooth. Being that this only $4.99, I would say it's definitely a bargain. I will be buying this again and again, and will be using it for whenever my skin begins to break out again. 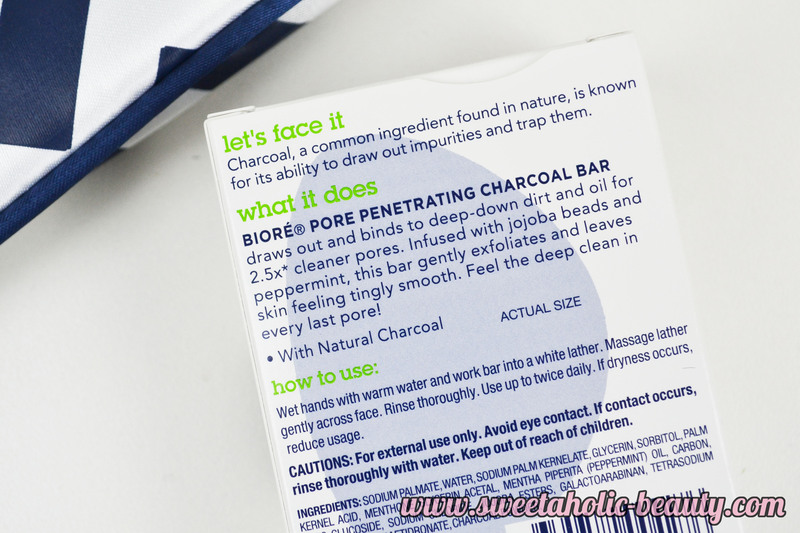 Have you tried the Biore Pore Penetrating Charcoal Bar? If so, what are your thoughts? Would you try this out if you had the chance? This is a new one! Great review, as always. I like the concept, but bar soaps and I don't always see eye to eye. I haven't tried this one yet, though I've heard such great things about it. I've used charcoal products in the past, though. It did great things for my skin. I've even tried charcoal products for my hair. Ooo! I so want to try this charcoal bar even though I'm not the biggest fan of bar soaps! If you are able to get your hands on it, DHC makes a really good shampoo with charcoal in it. It comes out black from the package but it soaks up all of the impurities from your hair and scalp. They also make a body wash with it! I want to try the charcoal masks next. I've seen videos of people pulling out all of the blackheads from their nose with it. It's super gross but super cool all at the same time. This is really interesting. I would love to try this!